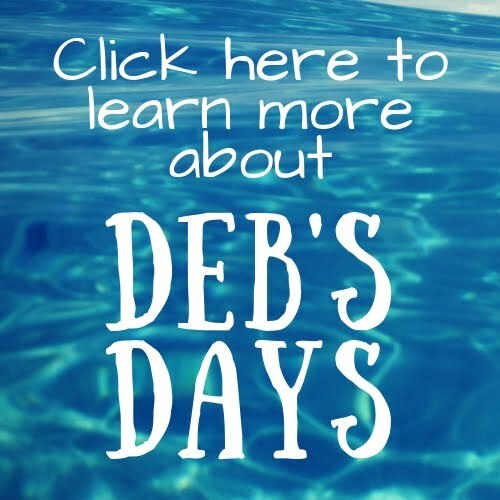 Debs Days: What is the Encouraging Words Project? Those who know me know I believe in the power of the Universe. I believe in The Secret. I believe in the power of positive thinking. That if you look for the good you will find the good. I believe life is flippin' amazing and each day will be amazingly awesome. And I know in my heart that putting positive and grateful thoughts out into the world comes back to me ten times over. To encourage myself and others to recognize the power within each and every one of us, I've been delivering words of support and inspiration. For the last several years I’ve been giving away dollar bills with these notes of encouragement. I’ve left them in restrooms and airplane magazines and sugar containers. I’ve left them in windowsills and tip jars and hotel room drawers. I’ve left them on buses and taxis and trains. And in shopping carts, store shelves, and doctor offices. Sometimes I place one somewhere once a day and other days I drop them off multiple times. While most of the time I never know who winds up finding them or how they feel about the words on them, occasionally I do get "caught". When I do, I am awe-inspired how much those few kinds words mean to people. The money going along with the words is just a bonus. I'd love to have your help in putting kind and grateful vibes out into the world. Click here to learn how to make the pockets and here to find out what others are doing with it. Don't want to make the pockets? Try using a sticky note to leave your dollar behind. Not able to give away any money right now? Just leave the encouraging words. It is the positive thought that counts!